Alvarez had argued that the initials of Rauff and the RSHA clerk on the letter to the Criminal Technical Institute of 26 March 1942 are an anomaly supporting his forgery hypothesis. I have previously rebutted this by pointing out there are only very few reference documents and that precisely this variation to the otherwise formally matching references actually makes the forgery hypothesis implausible easily trumped by the explanation that it would be an exception to a rule in the RSHA bureaucracy. Even this last remaining "anomaly" is now pulverised. 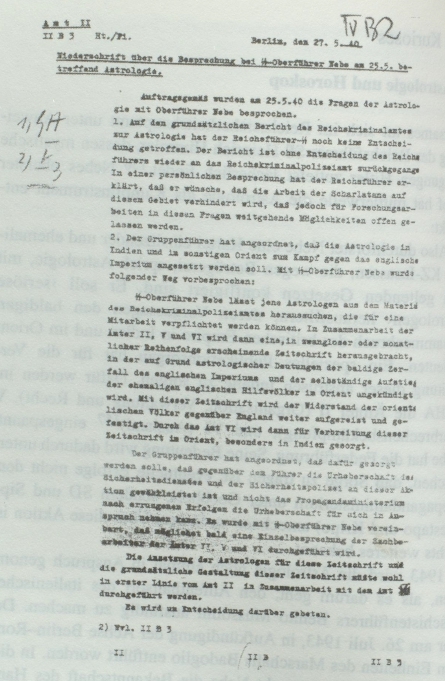 On 27 May 1940, the head of the RSHA office II B 3 on political churches (after March 1941 office IV B on ideological enemies) Albert Hartl set up a memo on a "conversation with SS-Oberführer Nebe of 25 May on astrology" (reproduced in Rathert, Verbrechen und Verschwörung: Arthur Nebe, p. 80). The memo has the typed initials of the author and the RSHA clerk right after the office designation: "Ht./Pi. ", just as in the carbon copy of Rauff's letter. This demonstrates - on an entirely innocent document - that it was a possible practise in the RSHA to include the initials of author and clerk in documents for their own files. This is once again an example how Alvarez has drawn a serious, far reaching (still implausible and ultimately false) conclusion based on his fatal historical and logical ignorance. I've been batting this around with another denier. One of the things that surprised me is the amount of documents that still exist about the gas vans. These vehicles are well documented, including the technical issues that were corrected along the way. What happened to the gas vans? Is there any data on that? The gas vans used at Chelmno in 1944 were put on a train back to Berlin when the camp was closed, according to SS witnesses. There is relatively little evidence of the use of gas vans elsewhere in Nazi-controlled territory from the second half of 1944. One was operating in the Auschwitz area in the autumn, mainly it seems for 'Gestapo' use executing political prisoners rather than shooting them. 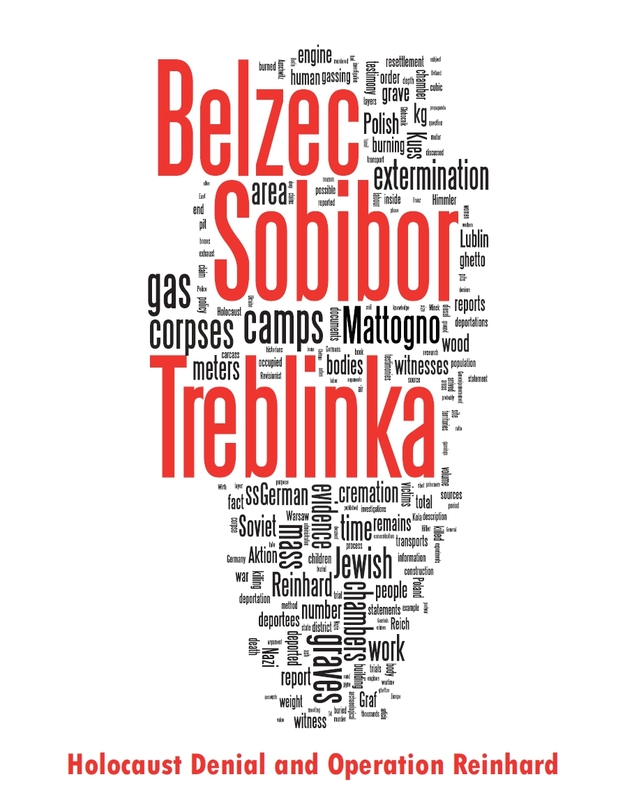 But as is well known the SS evacuated the camp and also blew up four crematoria at Birkenau. The Sicherheitspolizei unit that operated the gas van had retreated from Lithuania after retreating from Belorussia, and probably retreated again, with or without the gas van. 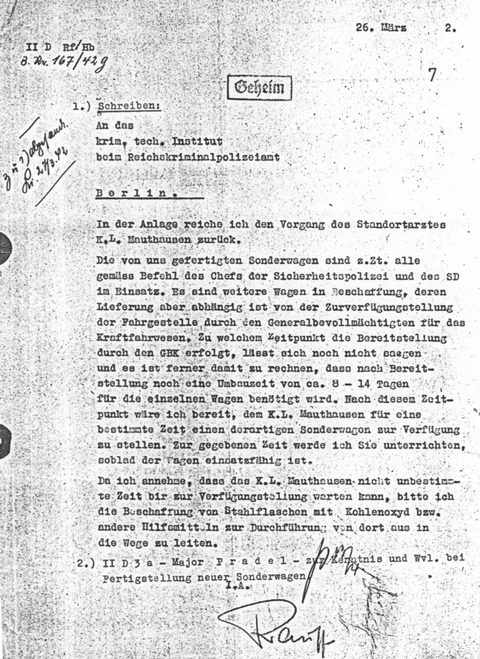 Bear in mind that units who had operated gas vans were already disbanded in many cases by 1944 - for example, Einsatzgruppe D was broken up in the summer of 1943. 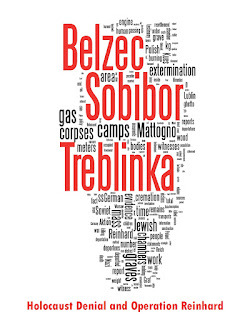 There are witnesses who report travelling back with gas vans from the Caucasus to Belorussia when Einsatzgruppe D retreated in early 1943. A gas van could easily be made non-suspicious by being blown up in a location away from a killing site or SS headquarters. Hundreds of thousands of German-operated vehicles were being abandoned in 1943-1945 due to lack of fuel, breakdowns and battle damage. There were at most only a few dozen gas vans ever in existence, so locating a working van would be like looking for a needle in a haystack. Some might have been converted back to 'normal' use, even if only cosmetically. Who knows? It's possible that a delivery van trundling around Germany or Poland in the 1950s was in fact a former gas van without the owners being aware of this. Eventually all vehicles go to the junkyard and are crushed/recycled. Alvarez is such a fraud that it's no longer funny, but I have a more interesting issue on my mind: is that report about astrology available? There is a testimony about at least one gas van set on fire in order not to let it fall into the Soviet hands. "precisely this variation to the otherwise formally matching references actually makes the forgery hypothesis implausible easily trumped by the explanation that it would be an exception to a rule in the RSHA bureaucracy"
suppose that the initials of author and clerk on the letter were an "anomaly" (it's not, as shown in the posting, but just for the sake of argument), is it then plausible that such was the result of a forgery? The supposed forger did not randomly make up the formal style of the letter but carefully matched it to the typical style of the RSHA bureaucracy. Hence, he had to have other documents from the RSHA at his disposal, which he closely followed, even so far that he mimicked something as odd as a carbon copy on a preprinted sheet of writing paper. But then it's hard to see why he should he have added the initials, which were lacking on his originals and which did not add anything to the point. In short, it's not a very plausible scenario, and less so than a RSHA clerk thought to clarify the typist.